Lets face it, punctuality is always in style! A trendy watch can make for the perfect centerpiece to any arm party and are an essential item in every career girls jewelry box. So it's ultra important for us not to let this classic accessory go by the wayside, due to the increasing rush of modern technology. Lets not forget, glancing at your cellphone every 10 minutes is never professional. 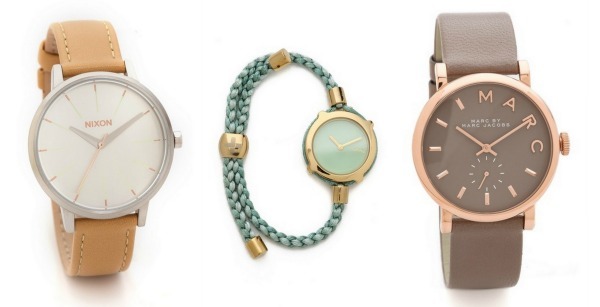 Whether you're a classic gold gal or a fashion risk-taker that can rock a vibrant leather watch with effortless ease, there's a wristwatch for everyone. Below are some of my favorite designer watches currently available. The rose gold one is so beautiful! And so is the bracelet you are wearing it with! What great picks on today's post. 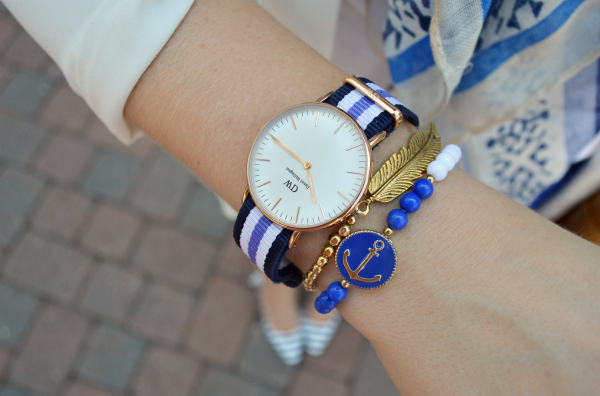 OHHH swooning for this latest arm candy. ps. Did you receive my email lovely? Love the watches with the colored face! Great finds! I've been in the market for a tortoise watch and I love that Kate Spade one. I love a good watch, they're all so cute. My favorite is Michael Kors.. such amazing watches.. 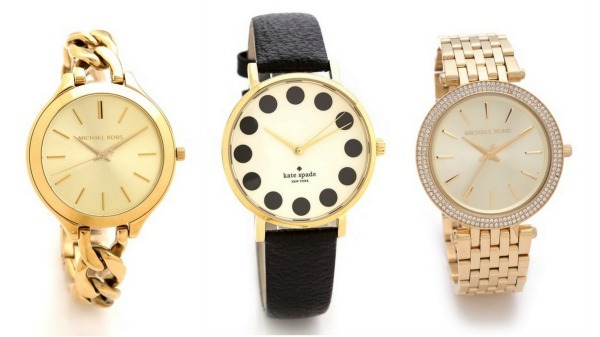 The Kate Spade Dots is so chic, :) Keeping track of time of course important. 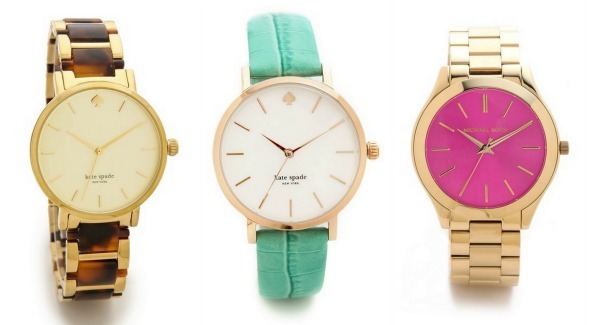 i really need to invest in some watches, the kate spade ones are so beautiful! Great picks! 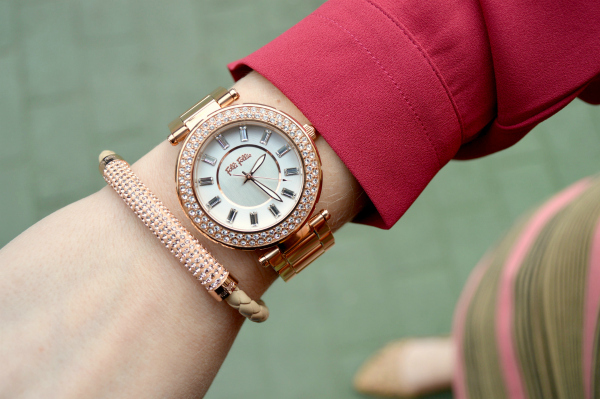 Love the Kate Spade watch! 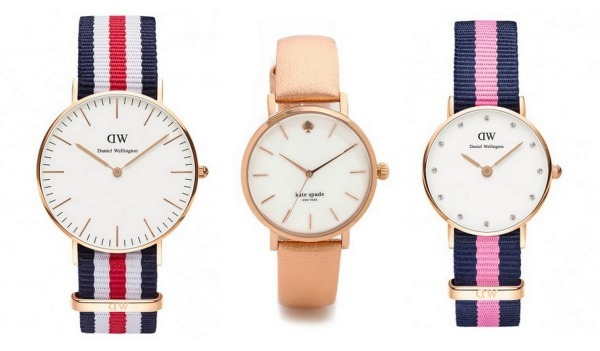 Between Kate Spade and Daniel Wellington you really can't go wrong! These are all so pretty! Love the gold Folli Follie watch! Wow! Can I have them all? I am totally in love with the watch from look 2! Stunning timepiece!